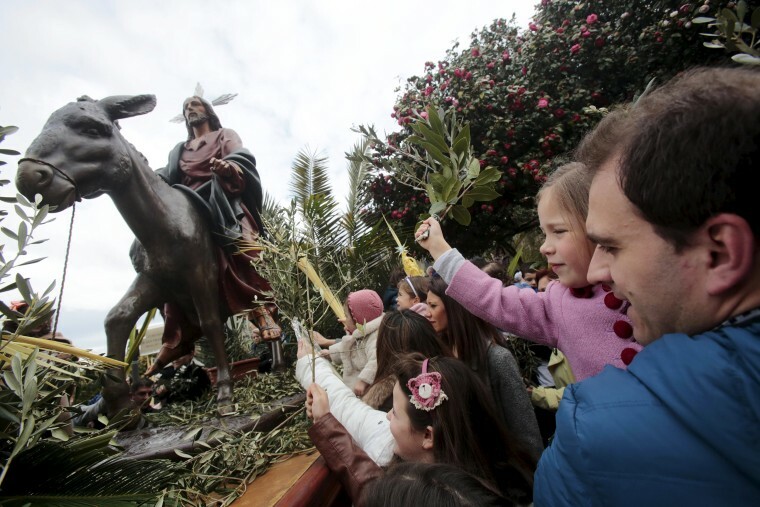 Palm Sunday commemorates Jesus Christ's entrance into Jerusalem, when his followers laid palm branches in his path. 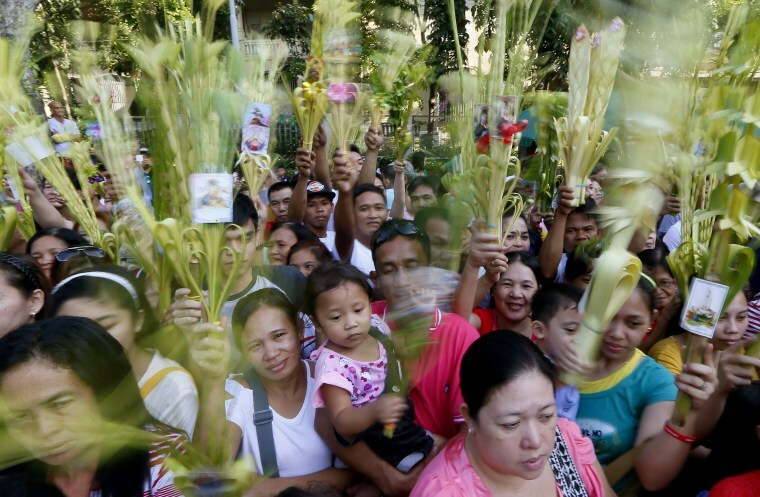 Roman Catholic devotees wave palm fronds to be blessed by a priest to commemorate Palm Sunday which marks the beginning of Holy Week Sunday, March 20, 2016 at the Redemptorist Church in Baclaran, south of Manila, Philippines. 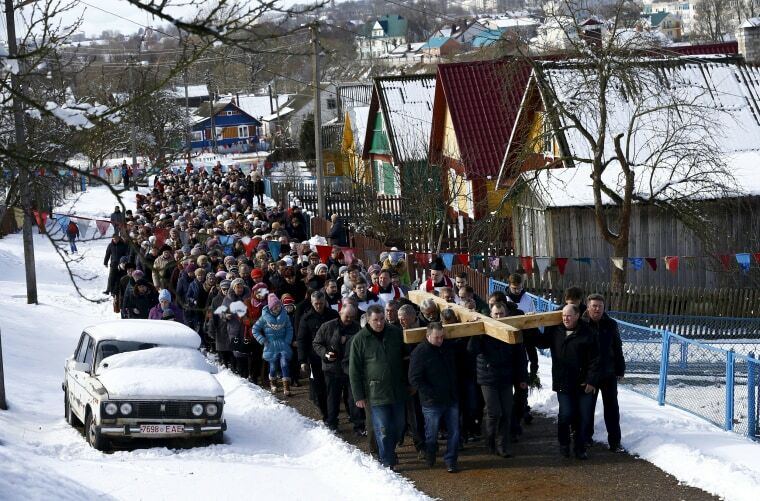 For Christians, Palm Sunday marks Jesus Christ's entrance into Jerusalem when his followers laid palm branches in his path, prior to his crucifixion. 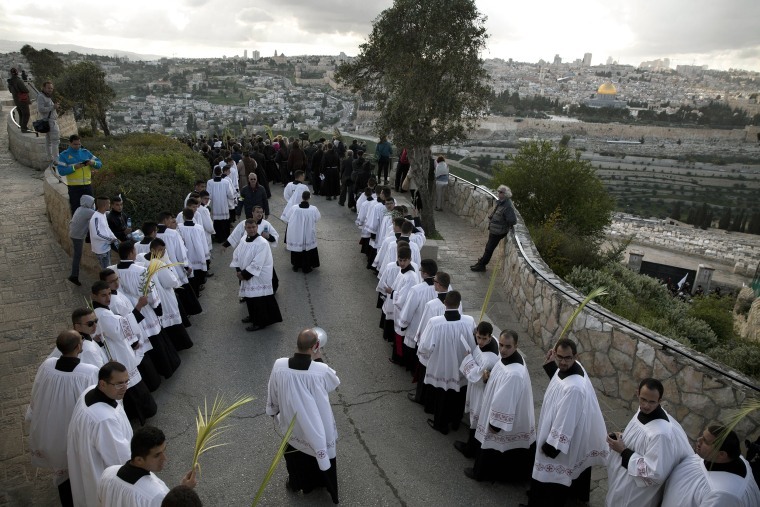 Christian priests, some holding palm fronds participate in the traditional Palm Sunday procession on the Mount of Olives overlooking Jerusalem's Old City, on March 20, 2016. 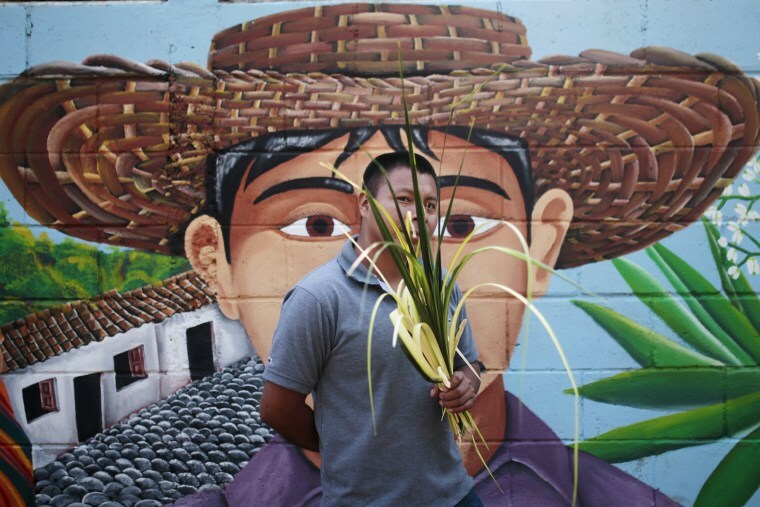 A man holds palm fronds during a Palm Sunday celebration in Nahuizalco, El Salvador on March 20, 2016. 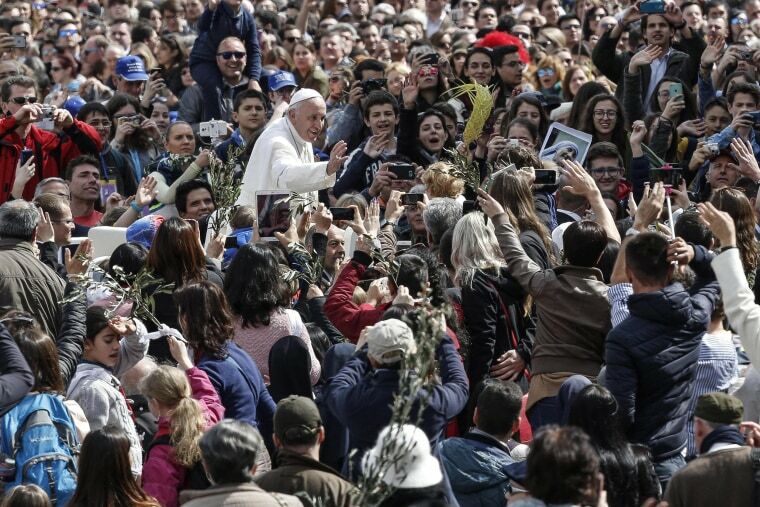 Pope Francis waves during the Palm Sunday Mass in Saint Peter's Square at the Vatican City, on March 20, 2016. 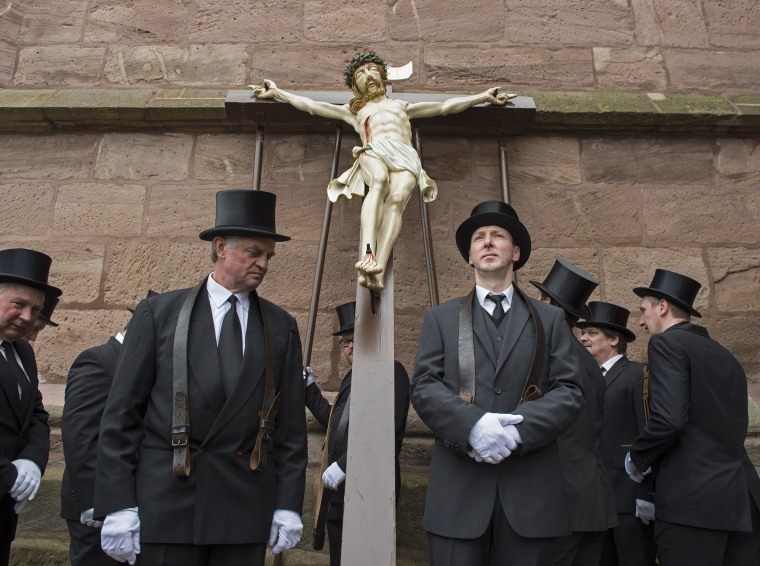 Participants prepare for the Palm Sunday procession in the old town in Heiligenstadt, Germany, on March 20, 2016. 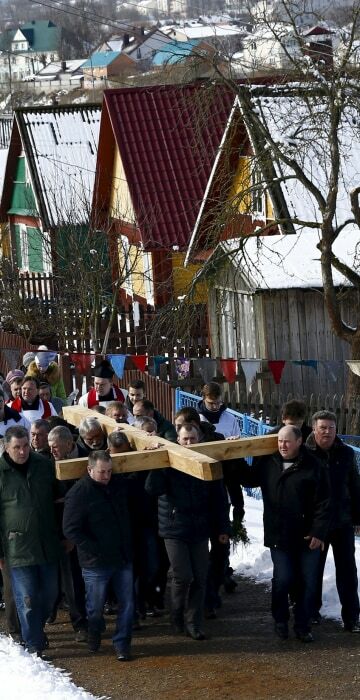 Belarussian Catholics carry a wooden cross as they take part in a procession celebrating Palm Sunday in the town of Oshmiany, Belarus, on March 20, 2016. 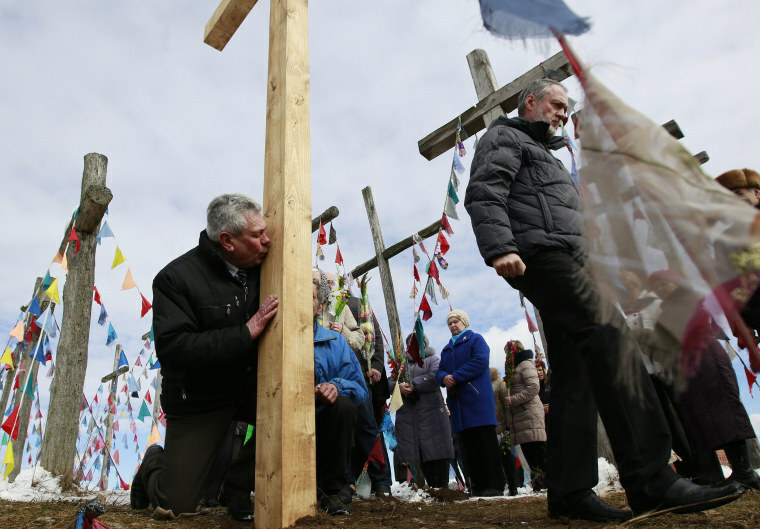 A Belarussian Catholic believer kisses a wooden cross during a procession celebrating Palm Sunday in the town of Oshmiany, Belarus, on March 20, 2016. 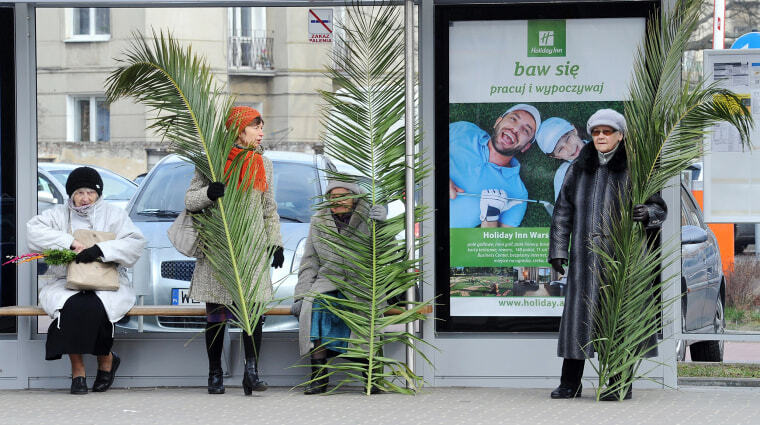 Women with palm leaves wait at a bus stop after a Palm Sunday procession in Warsaw, Poland, on March 20, 2016. 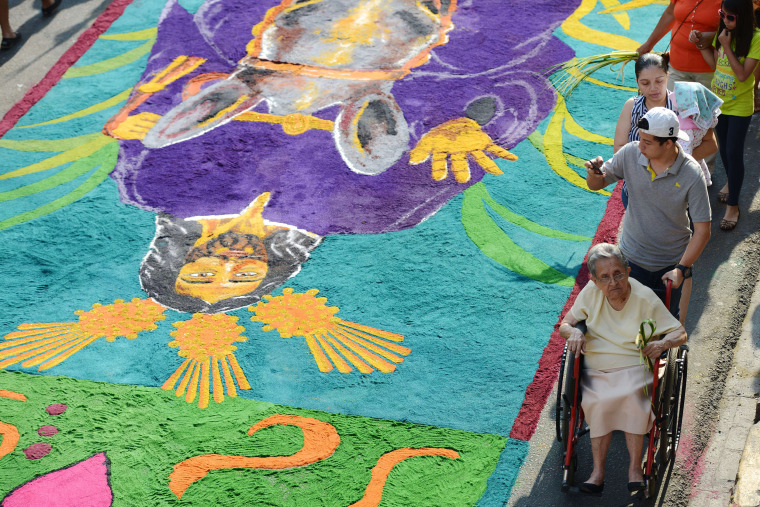 Catholic faithful walk by a sawdust carpet as they take part in the Palm Sunday celebrations, which mark the beginning of the Holy Week, in Tegucigalpa, Honduras on March 20, 2016. Spanish Catholics carry a devotional image of 'La Borriquita' during a Palm Sunday procession in Pontevedra, Spain on March 20, 2016. 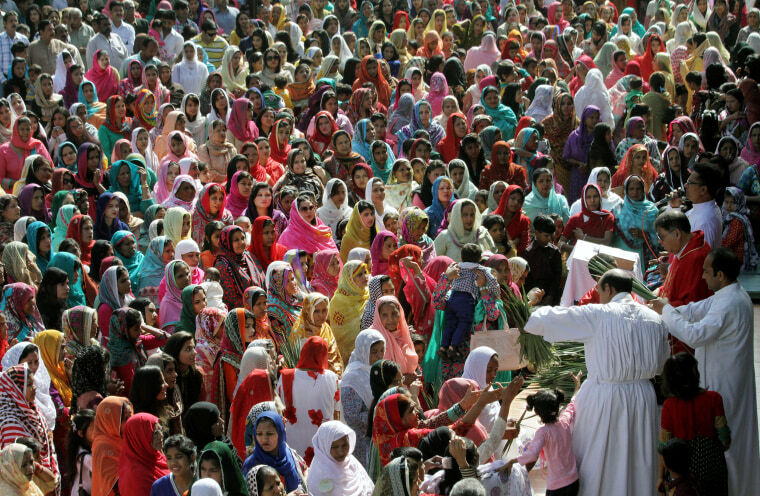 Pakistani Christians pray during a Palm Sunday Mass in St. Anthony Church in Lahore, Pakistan on March 20, 2016. 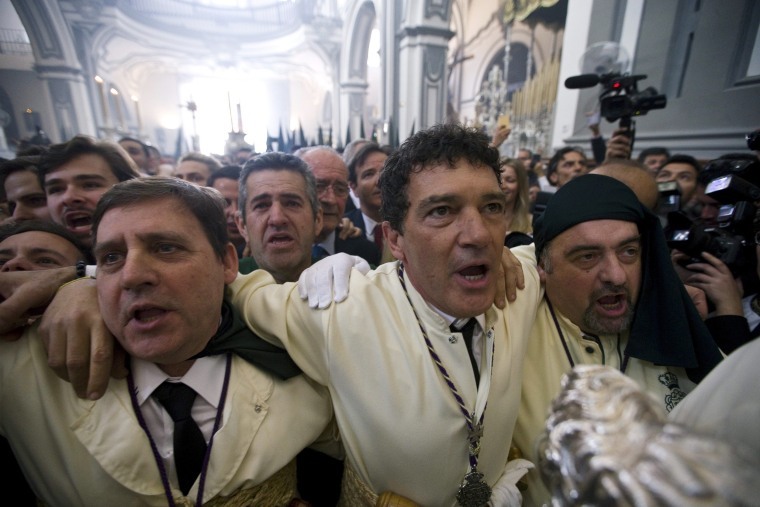 Spanish actor Antonio Banderas sings with other members of his brotherhood 'Reales Cofradias Fusionadas' before the start of the Saint Mary of Tears and Favors procession on Palm Sunday in Malaga, Spain on March 20, 2016. 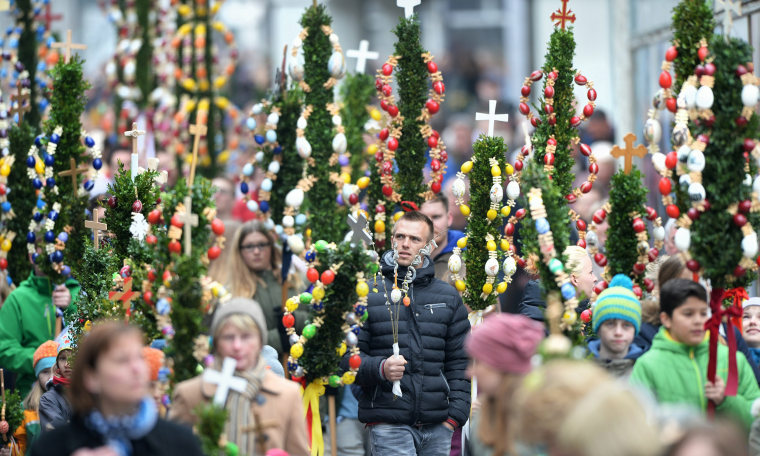 People carry homemade palms through the downtown to St. John's Church during the Palm Sunday procession in Bad Saulgau, Germany, on March 20, 2016.